Buhle Sithela (23) of Harare, Khayelitsha in the Cape, was recently featured on Beautiful News for his vision of bringing screen films and documentaries to his community. His video has clocked over 340,000 views since its release on 16 March 2017 on Beautiful News and as a result he is recognised by the Red Bull Amaphiko Academy for his entrepreneurial spirit and motivation to screen movies in ‘eKasi’ using solar power. 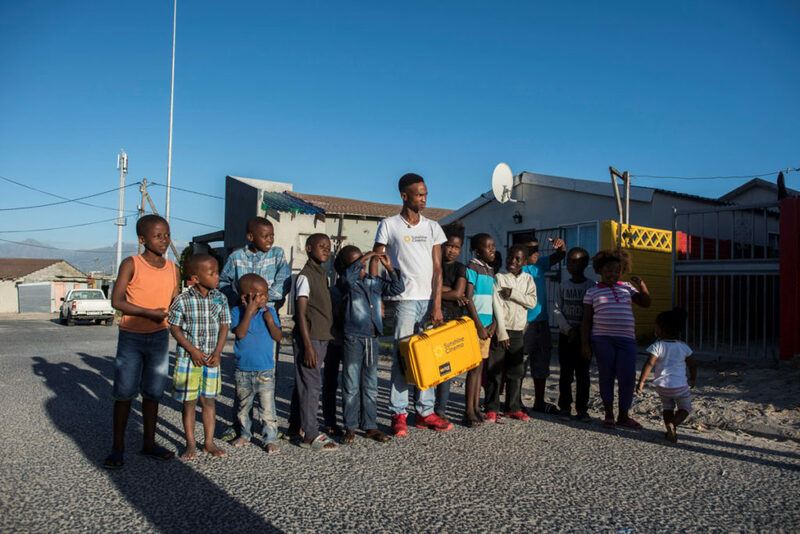 Prior to starting his socially-conscious enterprise, while completing his studies at the Cape Peninsula University he founded Khayelitsha Bin Clean Project as part of an assignment. He used the income-earned through the bin clean-up initiative to fund his tuition. When the money ran out he had no option but to forego furthering his education. Instead of becoming complacent, he applied for an internship with Sunshine Cinema to host film screening events. It was here that he developed a passion for film-making and cinema and this inspired him to bring motion picture to Khayelitsha. This also gave Sunshine Cinema, with whom he was working, the opportunity to develop a solar panel powered screening device that could be used to project film through a lightbox. As a young person who was denied a conventional education, Sithela understands the need for South Africans to get creative about building their futures. He says his motivation is to educate through entertainment and he believes that cinema provides a world of learning resources. 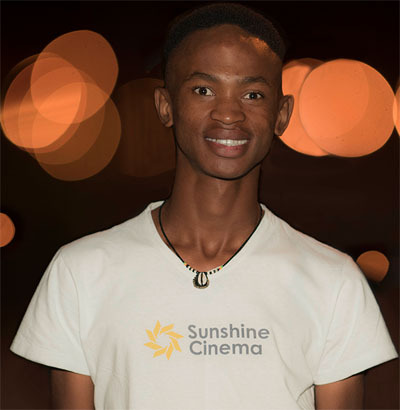 Sunshine Cinema is onto this idea, and continues to equip people like Sithela to touch their communities through the medium. 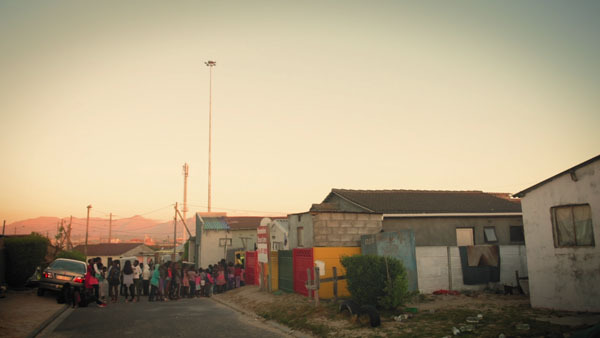 In the future, Beautiful News will continue releasing one short film per day at 4.14pm, unearthing stories across the country and capturing the diverse set of voices and uniqueness of South Africa. To view a Beautiful News story, visit www.beautifulnews.co.za. To submit an untold story email: hello@beautifulnews.co.za. We are a vibrant, innovative, resourceful and warm-hearted people. A truth we often overlook. Every day at 4:14pm Beautiful News celebrates the extraordinary fabric of human nature that binds our nation. Beautiful News’ founder, photographer and filmmaker Adrian Steirn, previously created the 21 Icons series, inspired by Nelson Mandela, which profiled the iconic individuals who led the nation’s journey to democracy and helped to unite its communities. Beautiful News is made possible with the support of Mercedes-Benz South Africa, who also partnered with Steirn on 21 Icons, demonstrating their continued commitment to and celebration of the people of South Africa. Selvin Govender, Marketing Director, Mercedes-Benz Cars: “South Africa is a fascinating country with diverse cultures. Its citizens have an amazing entrepreneurial spirit that goes a long way to showing their selflessness and human kindness to their fellow man. Mercedes-Benz South Africa is proud to partner with Beautiful News on this extraordinary project to help disseminate stories that demonstrate the best in humanity and the best of South Africa.